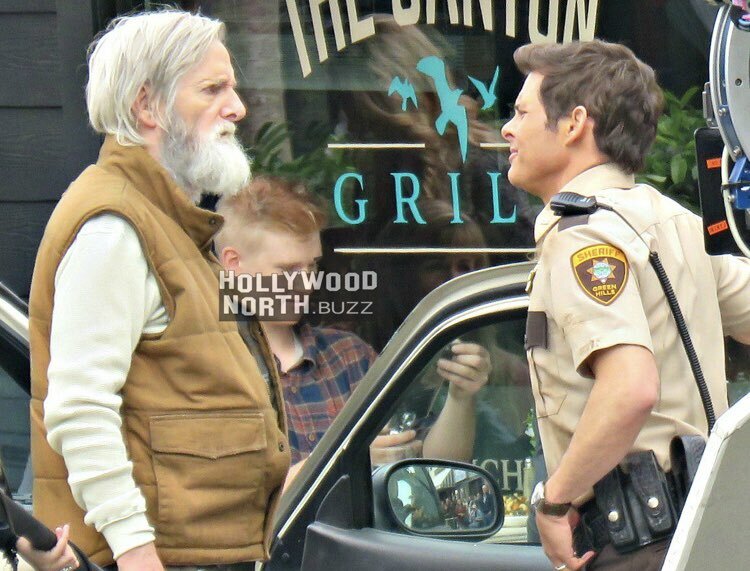 Updated: First look of Jim Carrey in "Sonic"
You are here: Home > Recent > News > Updated: First look of Jim Carrey in "Sonic"
It is not Jim Carrey. Our source was misinformed, the actor is Frank C Turner with James Marsden as the Green Hills Sheriff. They still confirm that Jim Carrey is in town for the shoot but has not been spotted yet. The movie about the very well known and loved game "Sonic" has been in production in the last month in Canada. Today, there has surface the first look picture of Jim Carrey as Dr. Eggman aka Dr. Robotnik. Even though it doesn�t look like the character we know, we have to keep in mind, during movie productions, things change all the time. -- Source: Comicbook.com. Click to comment this article.